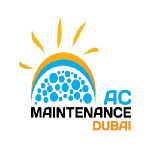 Best AC Maintenance, Repair, Service and Installation Service in Dubai. We are Authorized Dealers of O General AC in Dubai and also provides Air conditioning services in Dubai from installation and maintenance to emergency air conditioning repairs. Air Conditioning Fault Diagnosis specialists.